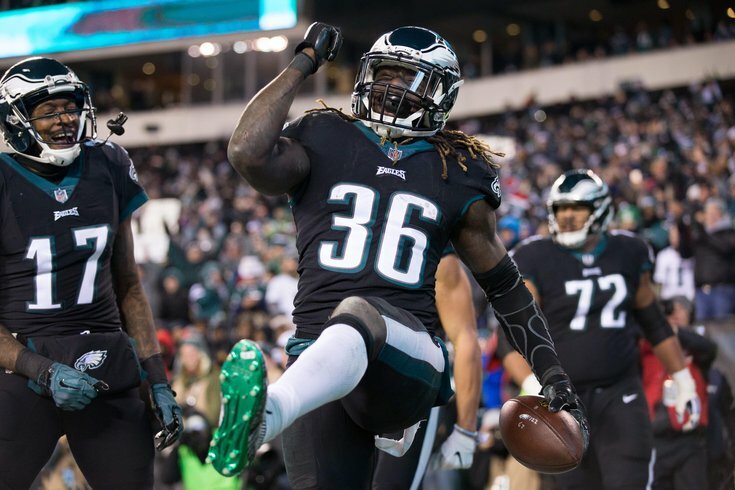 Philadelphia Eagles running back Jay Ajayi reacts to his touchdown against the Oakland Raiders during the first quarter at Lincoln Financial Field. The Philadelphia Eagles will play their first home game since November 26, after playing three straight on the road against the Seattle Seahawks, Los Angeles Rams, and New York Giants. On Christmas night, they'll be back in the friendly confines of Lincoln Financial Field to take on the Oakland Raiders. As we noted in our five matchups to watch, the Eagles will have to find a way to stop the Raiders' quick-passing attack, similar to the one the Giants roasted them with a week ago. Offensively, the Eagles will have to find a way to slow down stud edge rusher Khalil Mack. The Eagles have weathered devastating injuries all season long, most notably to Carson Wentz, Jason Peters, Jordan Hicks, and Darren Sproles. However, their current injury report includes just three players, who are all listed as questionable. The Raiders, meanwhile, will be without LT Donald Penn. Here's the full Eagles-Raiders injury report, with analysis. With a win, the Eagles will wrap up home-field advantage throughout the playoffs. Conversely, the Raiders have nothing to play for other than pride. After the Chiefs beat the Dolphins and the Ravens beat the Colts earlier this week, the Raiders became mathematically eliminated from playoff contention. The betting line quickly jumped from 8.5 points to 10, on the thinking that the Eagles will get a disinterested opponent Christmas night. You can find a roundup of local, national, and Oakland-based picks for this game here.